These days, mobile strategy is an imperative for marketing departments across every industry. While today’s CMO is looking at mobile advertising and optimizing websites for tablets, the first word on everyone’s mind is “app.” Developing an app isn’t the right solution for everyone, so how do you determine what mobile strategy makes sense for your business? Think about your business challenges. What processes do you, your staff, and your customers follow that could use a makeover? Apps can do just about anything, but a mobile strategy is essential to determine how a mobile app could best serve your needs. Identify an issue or opportunity first, then think about how mobile may be able to solve it . Let’s dive deeper into how mobile can fast-track your company’s transformation. Gone are the days where customer support was handled via phone, your customers’ agitation only amplified by mindless hold music. Consumers expect brands to address their issues immediately through a variety of platforms, including (but not limited to) email, online chats, and social media. This is a ripe opportunity for mobile. It’s your chance to constantly remind your customers that you’re there for them, that their experience is important to you, and that you’re actively paying attention to their needs. Instead of sending a link to their UPS shipment via email, why not offer to update them when the status of their package changes, and prompt them to give you feedback upon arrival? This way, you engage them with service instead of making them ask for it. If that’s too complex, you can solve the same problem simply: Create an app that allows them to reach a customer service rep immediately via SMS. Go beyond enabling customers to track shipments via a link. The difference between these two approaches is simple. In one case, you’re making them work for the information they want; in the other, you’re engaging them and providing a simple, unobtrusive answer to their question—maybe before they even ask it. Your relationship can extend far beyond the warehouse, and it should. By the time consumers step foot in a store, they’ve usually decided what they want to buy. This is especially true for products over $500. In fact, 80 percent of those purchasers research in advance—and they spend an average of 79 days collecting that information online. When you meet customers with that much research under their belt, you can bet the impression you’re making in-store is not the first—but it is one of the most important. Rethink the window shopping experience for mobile, and make it as engaging as possible to lock in the sale. This is not the time to be mysterious—it won’t pay off. Customer feedback is everywhere, and it’s both a blessing and a curse. There are too many Yelp reviews, Twitter mentions, and Facebook posts to wade through, but there are nuggets of pure gold nestled within both scathing and glowing reviews. In most cases, businesses are flooded with more feedback than they can handle, and the feeling of futility makes them throw up their hands and walk away. At Tonic Design Co., we have a better (albeit seemingly counterintuitive) approach: find more. We keep a sharp eye on the App Store and Google Play, but we also spend a lot of time in the field talking to customers, sending out surveys, and doing in-person interviews to find out what they think and how they feel. “How was your experience on the site?” “Would you be interested in this product if we developed it?” “How do these navigation styles feel to you?” We preemptively conduct research to ensure that our products will meet customer standards, and then continue to observe and react to feedback long after the product launches. By using mobile to engage, interact, and respond to your customers, you can turn them into die-hard advocates and your biggest social sponsors. Start early, and talk often. It’s human nature—we want to win. We love earning points, getting prizes, and gaining rank. But the loyalty punch card promising one free sandwich for every 10 purchased doesn’t suit today’s customer, and frankly, neither does the “My [insert company name]” card swiped at the register. The Starbucks mobile app is a good example of loyalty rewards that have been reinvented through gamification. Starbucks customers pay for their product using the mobile app and earn points simultaneously. Moreover, they’re constantly reminded of how many points they need in order to move to the next level. The app offers a nudge and facilitates friendly competition. Mobile payments are on their way to becoming mainstream, outpacing website payments in growth for 2014. In fact, mobile payments may exceed $3 trillion in the next five years. This is last call to get ahead of this trend. These are just a few compelling ways mobile can help you retain customers. Have you accommodated your customers’ changing needs and preferences over the past 10 years? 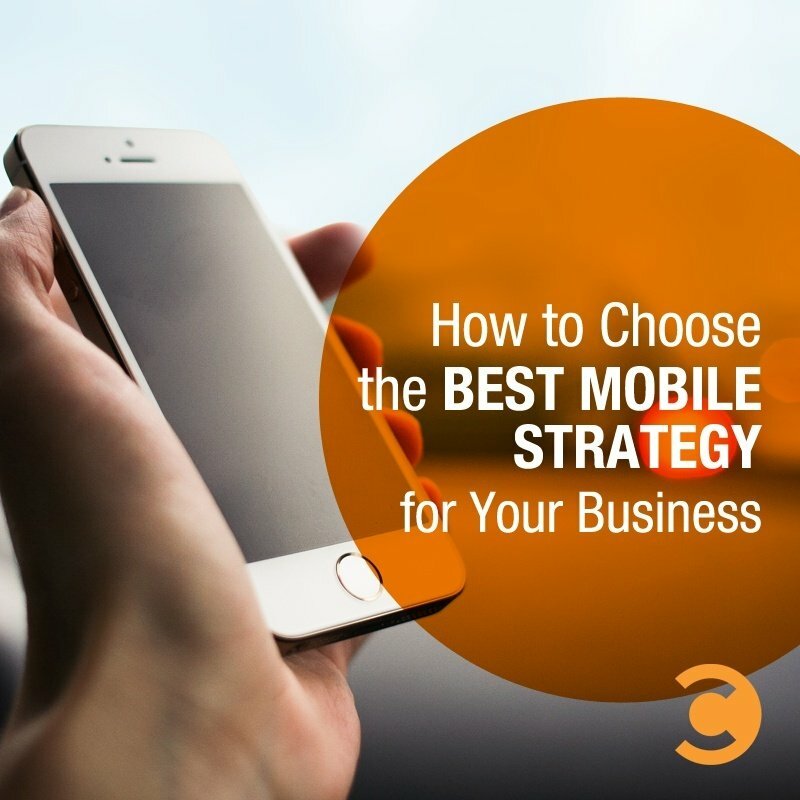 Developing a mobile strategy is the next step in this evolution. What other old-school business practices do you plan to change? And as a consumer, which ones will you be happy to see go? Continue the conversation on our Facebook or Google+ pages. Ben Stucker is the Director of Business Development at Tonic Design Co. He has extensive experience in building strategic relationships in both the finance and technology industries. Ben earned an economics degree from Middlebury College and his MBA in Strategic Management from Temple University.